Which Would Be Worse- To Live As a Monster or Die As a Good Man? 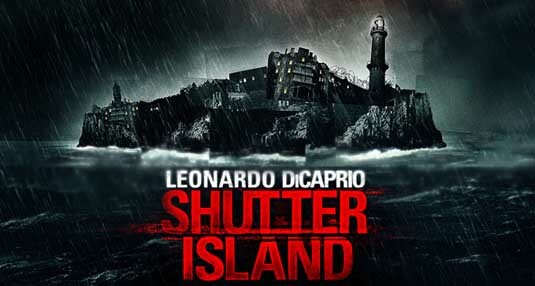 Most of you will recognise this line immediately; yes, this post is about Shutter Island. Have you ever seen Shutter Island? If you haven’t I highly recommend it. It is one of those movies that make you feel strained from the beginning until the end and even after. It plays with the mind and makes it reveal its complexity even more. The story Martin Scorsese tells is very intricate and grim, but at the same time gripping and touching. The cast is also very well chosen – Leonardo DiCaprio, Mark Ruffalo, Ben Kingsley, Emily Mortimer. DiCaprio has proven his talent within the years. He’s not the sweet, blonde boy we all know from Titanic. He transformed into a serious actor- one of the best Hollywood has ever had. This man made some really high-quality movies in the past few years: The Blood Diamond, The Aviator, Inception, The Great Gatsby etc. 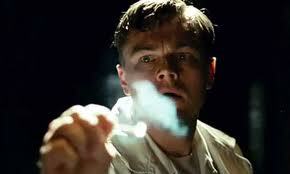 But let’s go back to Shutter Island. There are movies that are a must and it is one of them. I would describe it as a psychological thriller with drama elements but mixed in so incredibly good way that the end product is brilliant. Of course, there are many critics that would not agree with me like The Guardian for example, whose review on the movie uses phrases such as “old-fashioned melodrama” and “shaggy dog tale”. Of course, everyone has the right to have an opinion and my personal one is that the movie trains one’s reason and logic and does not leave the viewer indifferent to the story it tells and the way it’s telling it. I have made my personal investigation on people’s reactions while they are watching the movie and straight after its end (which reverses the action at 180 degrees). They were all stunned but deeply impressed. I have a friend, who in the first minutes after the end of the movie, believed her mind was playing games with her. We don’t realise the power of our mind. It is so big that it’s out of our control, moreover, it’s in control of us. That is scary but impressive at the same time and proves us we are not as great as we think we are. We are not in full control of our emotions, desires, thoughts, but our mind is. And who is in control of our mind? Well, that question hasn’t been answered yet. But it raises a number of others like, “Is there any particular reason for mentally ill people to get ill?”, and “Do we know what’s in these people’s heads?”, “Do we actually know what’s in our head?” After watching Shutter Island, you start asking yourself all these questions. I praise the power of films of this type because they make you think and analyse yourself and the surrounding world. They raise questions and make you look for the answers.